Tickets for the Brett Kenny fundraiser can be purchased here. Tickets for Wigan Warriors vs Hull FC at WIN Stadium can be purchased here. 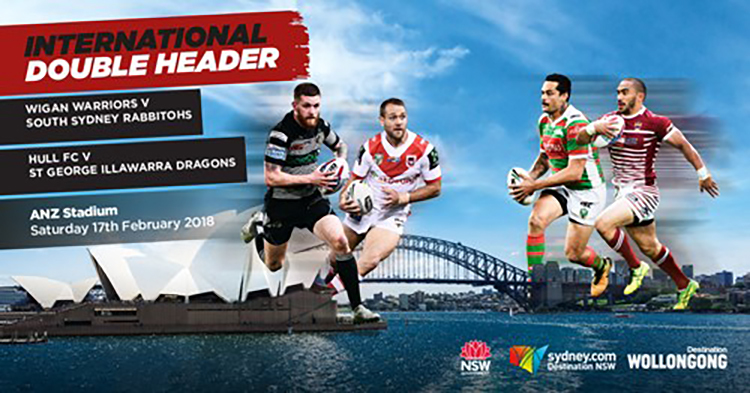 Tickets for the first ever double-header games between Super League and NRL teams at a single venue when Wigan face South Sydney Rabbitohs and Hull FC play St George Illawarra Dragons at ANZ Stadium, Sydney on Saturday 17 February, 2018 can be purchased here.